One of the last working ranches in the Snoqualmie Valley. 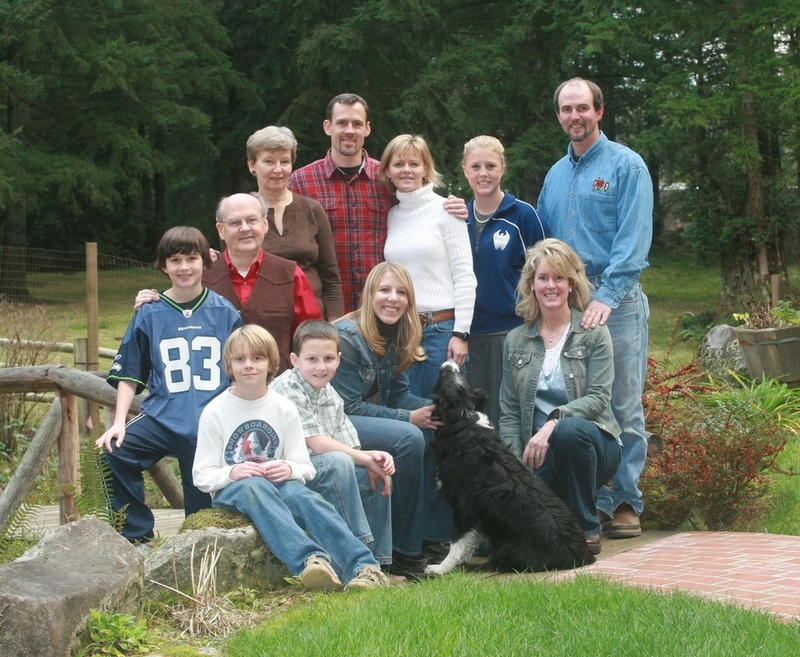 Keith and Scott Tree Farm is a 3rd generation family farm, located on the Middle Fork S Ranch, one of the oldest and last working farms in the upper Snoqualmie River Valley. Since 1969, our farm has been producing naturally raised prime beef cattle, lamb, hay and Christmas trees on 95 acres. In 1974, ranchers Ewing and JoAnn Stringfellow planted a small 4-acre corner of the ranch in Christmas tree seedlings. The first mature tree crop was harvested and sold in 1980, and in 1996, a second 5-acre parcel was opened and planted. Today, the Keith and Scott Tree Farm spans 12 acres and produces five varieties of fir trees - Douglas, Fraser, Turkish, Noble, and Grand Firs. Our second and third generations are following in Ewing's footsteps and raising livestock for sale. Their 4-H lambs and steers are raised the way animals should be raised - on grass, in peaceful surroundings, roaming freely. The boys have all raised, trained, and shown their animals in 4-H, and each year our family produces premium quality meat that is highly sought after by several of our local butchers and chefs. For 32 years our family has been providing beautiful, quality Christmas trees for generations of customers. The tree farm proceeds are used to perpetuate the farm itself, as well as provide college education opportunities for the family children. To date, Christmas tree sales have funded secondary education for 2nd generation sons Keith and Scott Stringfellow (after whom the farm is named), and daughter Heather. We are now working towards providing college tuition from Christmas tree sales for our 3rd generation - Andrew, Jake, David, Ashley, and Tori Lynn; and our 4th generation - little Natalie and Arya, Ashley's two daughters. We are very grateful to our Lord Jesus Christ, the precious Gift, given to all of us on Christmas Day, that we have been blessed with a business that enriches both our family and our customers on a very special, personal level. We thank Him for all of the people, experiences, and love He has brought to us over the past 34 years of selling Christmas trees. To find out when we open for Christmas tree season, visit us here. To reserve beef and/or lamb, or simply find out more information, visit us here.